Aspiring classical musicians commonly study in a context resembling the ancient “master-apprentice” model. That is, they take lessons from one individual over a span of years and depend on that person to cultivate their artistic, technical, and career skills. Does that educational arrangement make sense for contemporary music students? When cultures and technologies changed little from one generation to the next, apprentices could reasonably expect that the knowledge that masters conveyed would remain relevant. In the 18th century, let’s say, blacksmith apprentices could gain the ability to make horseshoes under the assumption that horseshoes would be in demand throughout their lifetimes. In our rapidly-changing world, the knowledge bases of people who built careers a generation ago remain pertinent in many ways. But the cultural, technological, and economic transformations of the preceding two decades mean that aspiring 21st-century professionals require knowledge and skills that experts of earlier generations often lack. Case in point, emerging 21st-century musicians need to understand contemporary arts cultures, economies and technologies, which differ markedly from those of the 20th century. For instance, many of the large late-20th century music employers are shrinking or disappearing (e.g., orchestras, pit bands), yet there are more music graduates than ever pursuing those dwindling jobs. Emerging artists, therefore, have to acquire diverse artistic, entrepreneurial, communications, teaching and tech skills to build new sorts of careers in which they tap multiple income streams. and otherwise equip themselves to succeed going forward. Music Schools: Stuck in the Past? 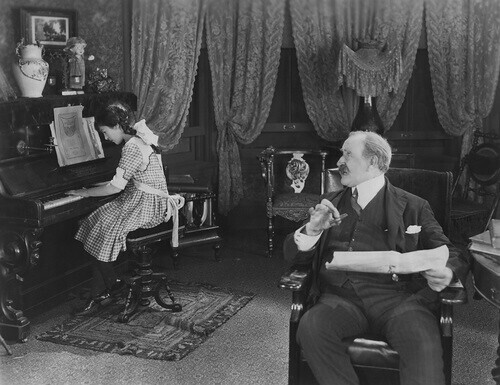 As the music industry has transformed, many music schools have continued training students as they did in the last century. A typical example: Conservatory students might apprentice under active or retired orchestra musicians who are masters of the orchestral repertoire, and those teachers often don’t guide nor encourage their students to acquire 21st-century knowledge and skills. All the while, the large-ensemble industry contracts, and full-time orchestra jobs are so scarce and sought-after that it borders on irrational for students to enroll in costly degree programs with the sole aim of winning such jobs (e.g., I’m told that the recent 3rd horn opening in the Nashville Symphony attracted hundreds of applicants). In fact, I’ve observed that many conservatory students hold so called “lottery mentalities,” ignoring the long odds of winning orchestra jobs and, as a result, shirking chances to become more comprehensively educated musicians. So, even though orchestral music represents some of the greatest art ever created, and the skills that veteran orchestra players possess are of immense value to students, those skills aren’t sufficient for today’s graduates. New-century musicians need an educational model that supplies broad, up-to-date artistic and professional know-how such that they not only become capable ensemble players but also educators, concert producers and arts leaders in their communities. As an alternative to the antiquated master-apprentice scheme, I propose a structure in which students receive artistic and career coaching from multiple mentors and not primarily from one applied teacher. Under such a mentors-apprentice system, students would still benefit from studying under masters in their genres, but those masters wouldn’t be the exclusive source of students’ artistic, technical, and professional education. Instead, as I outline in “Music Education and Entrepreneurship,” students would concurrently enroll in courses, workshops, and project-based intensives that would encourage them to think independently and enable them to target their artistic interests along contemporary career trajectories. They’d receive individual career advising from dedicated professionals, and there would also be curricular integration such that academic courses would promote creative thinking and communication skills as opposed to rote learning and multiple-choice testing. In sum, established masters offer priceless knowledge to young people, but when it comes to professional arts education in the 21st century, the master-apprentice model is dead. See my book The Musician’s Way, for strategies that enable rising musicians to acquire inclusive artistic, collaborative, and career skills. For additional help, contact me to discuss possible coaching via Skype. Do Musicians Often Resemble Underpants Gnomes? I will re-read that chapter again and I will let you know in two week how it works out for me. I forgot to mention before that my first music teacher left a bad impression in me as a young boy when I was learning. As a result I gave up on playing the saxophone and furthering my knowledge. However, as an adult I have a different mind set and approach to learning again. Once again thanks Gerald for the feed back. Hi Luis – Thanks for the comment and for bringing up such an important subject. Even when teachers come across as stern or offer rough critiques, we can reap positive benefits without getting chafed by their coarseness. Lastly, pages 293-299 of The Musician’s Way go further into student-teacher dynamics and communication. If you implement any of those ideas with your teacher, I invite you to let me know how they work for you. Just want to say that after reading some parts of the book and this blog. I have decide to take my practice to the next level. I reached out to a local saxophone player who earns a living playing the saxophone and agree to work with me. I had a positive and negative experience for my the encounter with this professional musician. The positive was making contact and allowing me to visit him at his residence. He quickly identify one deficiency I thought I iron out during my teenage years ( was not keeping time right). He was somewhat glad that he did not have to teach me to read the music. While he hacked at working out my deficiency, I had a flash back (here comes the negative). My middle school band teacher/director was a former Marine. With that said you must know where I am going with this. As a grown man it did not bother me as much. However, he did notice how stern he was with me during the session and apologize for his sternness (I guess when you are passionate with music you are stern about it). It did not bother me and we were able to laugh at the matter after I made a joke about him taking my vintage horn and throwing it out of his house and me right behind it. After the jokes were made it was back to business and we continue with the practice. Out of that negative experience with him, I found a positive out come and I really enjoyed my time revisiting and learning simple elementary part that I forgot. Also, he told me it is ok to mess up because eventually you over come these errors in life and move on. My goal is be able to play in proficient matter with friends and for my enjoyment as well as my household enjoyment without being thrown in the dog house. Looking forward to anyone’s comments or suggestions. Nice post, Gerry, with a lot of great points. Multiple mentoring – basically noticing, studying, and connecting with anyone who is good at what they do – is an essential element of success these days. Multiple learning streams are as important as multiple income streams in the arts maketplace. Thanks for reading and contributing, Michael Millar. Your term “multiple learning streams” parallels elegantly with the concept of multiple income streams. I hope you’ll stop by often. A good summary of much of the evolution of thinking that has been occurring over the last 10 years or so. I think you are spot on; however in most colleges of music governance is still centered in the “masters” that you refer to in your excellent piece. While there are lots of programs popping up since my original CMS presentation of an entrepreneurial music school curriculum in San Francisco in 2004, the great majority of these “masters” are only concerned about their own employment and not so concerned about the future employment of their students. Hence, students are still required to perform juries featuring orchestral excerpts to pieces of repertoire that they will never get to perform. To make it worse, in many of these schools, half of their ensembles are concert bands, not orchestras, as the balance of wind to strings is usually skewed, making the acquisition of orchestra experience difficult for winds to acquire. Indeed, at my alma mater, the Eastman School of Music, there were two orchestras and two bands. As a student, I took the initiative to address that shortfall by starting the “Drapkin Reading Orchestra” which met each week to read large orchestral works, and by my senior year I got funding to rent music. So even the training of the repertoire that are required by the “masters” is difficult for some instruments to acquire. Yet this imbalance is due to the need to keep the wind faculty dance cards filled with students, and the disproportionate need for clarinets, for example, to fill the concert bands – NOT the need to address the need for clarinet players in the marketplace. To what end? The only professional concert bands these days are some summer band gigs and mostly in the military. Is it the role of our schools of music to produce wind players for the military? An absurd thought, to say the least. The question is how to make entrepreneurship and business acumen a fundamental part of the curriculum, which has not significantly happened yet. Many faculty still fear these skills since they don’t understand them, plus many faculty oppose it because they don’t want their students doing anything in their free time that detracts from practicing. Practice for what? What jobs are they practicing for? I think we are down to maybe 11 full time full year orchestras in the U.S., and the notion that one has to teach privately in order to subsidize their insufficient jobs in either part-time or partial season orchestras would be laughable, if it wasn’t for the fact that the parents of these students are spending some of the highest tuition in the industry to prepare them for careers that are either unlikely or virtually non-existent. This has been my dilemma for the last 13 years: How do we effect change in the music academy, especially when these “masters” are so resistant to change, and indeed fearful of change since it may lead to their obsolescence or redundancy? In a way, one can look at the issue of gay marriage in our larger society for a possible answer. There was a time, only a few decades ago, that the concept of legalizing gay marriage was inconceivable, just as the notion of teaching business and/or entrepreneurship as a fundamental part of the NASM-approved curriculum was inconceivable (and is largely still not the case today). As the mainstreaming of the gay community in our larger society removed much of the fear factor with a shift towards perceiving gay couples as loving couples and parents, so to shall the notion of business and entrepreneurship in the core curriculum become the norm rather than the exception. As my three college-aged daughters have reminded me, “Kids these days don’t understand or are even mystified why the issue of gay marriage is still such a big deal.” As orchestras continue to dry up, I believe that music school curricula will be forced to switch, as students and their tuition-paying parents will force them to change, or they will take their tuition elsewhere. Also, I believe that as faculty jobs turn over, the younger generation of “masters” will have much better understanding of the realities of the marketplace and more amenable to these kind of more realistic programs, as you suggest. Thank you, Michael – articulate and to the point. I hope that your words resonate far and wide. I too think that the newer generation of faculty will often be savvier regarding the artistic and professional preparation needed by today’s graduates. But I don’t think that school’s are necessarily favoring new thinking in their hiring, nor do I find that change is happening fast enough. Oddly, enrollments at music schools haven’t yet fallen off, even with the ongoing disconnect between traditional curricula and current music economies. Even so, I expect that it won’t be long before parents, legislators, and journalists will recognize that we’ve been in the midst of an arts education bubble, as I described in my earlier reply to Jeffrey Nytch. Smart music schools/departments will update their programs before the bubble bursts. Those that don’t may cease to exist because funders won’t tolerate the poor outcomes of graduates. Thanks for the thoughtful contribution, Jeff, and for your support. I look forward to learning more about your ideas for curricular integration. I’m pleased to be able to say that at the Peabody Conservatory, where I direct the Music Entrepreneurship & Career Center, curricular integration has been going on for a long time, in some areas, for decades prior to my arrival, and we’re working to achieve even more integration. The leadership, faculty, and staff embrace entrepreneurship, and, as a constituent of Johns Hopkins University, students have vast educational opportunities. Among other things, students can enroll in courses about practical matters such as copyrights and contracts, orchestra management, website design, and the business of music. They can pursue all sorts of entrepreneurial endeavors. E.g., in the upcoming week, a start-up orchestra comprised of students called the Occasional Symphony will perform concerts celebrating Cinco de May and a local opera group of Peabody alumni and students will present a world premiere of an opera composed by a Peabody graduate student that commemorates the 5oth anniversary of the Kennedy Assassination – the piece is evocatively titled Camelot Requiem. You point out that my article attacks the status quo – true enough. But when music schools promise in their mission statements that they prepare students for professional careers and then provide antiquated instruction such that graduates emerge unprepared to have sustainable careers, well, I believe that those programs deserve to be called out. As for the risks involved in challenging the status quo, hefty government subsidies have, in my view, produced an arts education bubble that may soon deflate as budget contractions cause subsidies to decline and the price of enrollment to skyrocket. Institutions, especially state-owned ones, that fail to update their curricula and become more accountable to the outcomes of their graduates will then be the ones at risk of being axed by legislative budget cuts. Amen, Gerry! I think the challenge to raising these points is that it’s a pretty front-on attack on the status quo of music programs everywhere. Being a subversive is risky, and so this fundamental truth you articulate so well remains the elephant in the room that nobody wants to acknowledge (much less constructively engage). Even at places like our respective institutions, which are forward-thinking enough to have entrepreneurship programs, still relegate those programs to the periphery, tacked onto the side of a core program that remains unchanged. Figuring out how to bring it into the center, and thus transform the whole, is something I’ve been thinking about a lot lately. This is such a key issue in music education. Present day music students definitely need a different approach. Back when I did my career counseling internship at a small liberal arts college that started out as a music conservatory, literally ZERO music students came into the career center. All of their career advising was done by their academic advisor and main instrument teacher (voice, piano, etc.) God help you if your advisor did not like you, or thought your talents secondary to some other student. You would never find out about enrichment or job opportunities. The only way I got the music students to come into the career center (over plenty of faculty resistance) was to engage my music work-study students in career conversations. (I also worked at the college’s multimedia center which serviced the music and film schools.) An externship group grew out of those conversations that addressed medical problems of performance. It is now 15 years later, and some of those students still keep in touch. A key piece of this plan needs to be educating students on the importance of collaboration. They get so caught up in the “competition” of music school that they cannot see that the person who is the second chair to their first may be the person who has the power to hire them 10 years from now. Networking is still key, even in a competitive atmosphere such as music school. Hi Mary. Thanks for highlighting the primacy of networking and collaboration as well as for the vivid examples. Much appreciated! Great points all around, Gerry. Indeed, what amounts to vocational training might be better replicated through a more responsive model that you outlined by going to various experts and taking their best attributes along with those of others. In defense of us old-school orchestra players, what we offer is a solid foundation of playing music that is widely in demand in stable ensembles. The classics don’t go away no matter what country one goes to. This foundation can thus be applied to any number of specialties that revolve around classical music. Even Miles Davis and Wynton studied at Julliard with the main teacher there. Also, there are actually more orchestras in the USA than ever before and more of the smaller ones are expanding their seasons to the point that floating non-members can make $75K a season playing in four groups with the odd gigs thrown in. Orchestras themselves have taken to the entrepreneurial spirit, too! Lastly, there is always room at the true quality players. Most groups still complain that they have trouble finding enough good applicants that meet what the work demands. Hi Andy – Thanks for reading and contributing. Great to have your viewpoints here! For such inclusive education to be possible, schools need to recognize that artistic and career preparation aren’t separate things but part of a whole. For instance, young performers who better understand arts cultures and economies can cultivate repertoires and concert programs that reflect their authentic interests and that will appeal to diverse audiences – their artistic desires and the avenues through which they might express them interact, and then sustainable careers become possible for them. Students who lack such understanding and who study in master-apprentice contexts tend to learn the same repertoire and skills as their predecessors, acquiring no knowledge of how to create innovative performance products, thereby leaving them with few career options and artistic outlets.